This May, Custer will send 50 volunteers to help Habitat for Humanity build a house on the Northwest Side. One of the great things about Grand Rapids is the community's investment in itself and its members. In a conversation I recently had with Todd Custer, Vice President of Sales-Architecture Products, Furniture and Technology at Custer, he emphasized how ramped up Custer staff are about their upcoming community involvement events. As Grand Rapids thaws and eases into spring, we can all get outside again and participate in a variety of activities- walking, running, biking, gardening, landscaping and generally celebrating being outdoors after six months of being cooped up inside listening to the snow fall and the wind roar. Custer’s staff plans to do a number of these activities together and for various organizations in West Michigan. 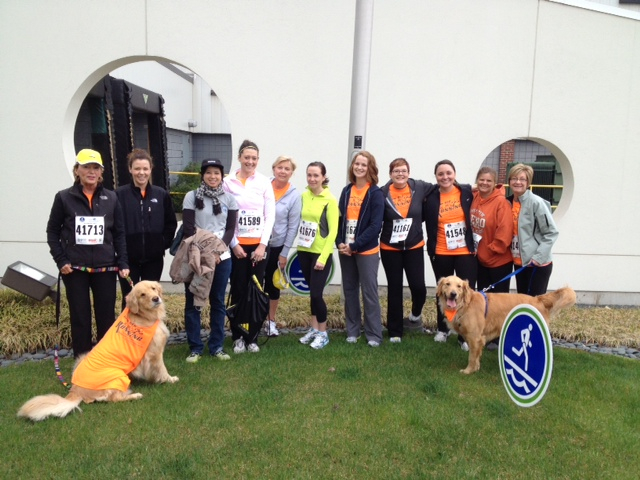 In May they’ll be walking for the National Kidney Foundation in the 2014 Grand Rapids Kidney Walk, a good warm-up for their run to help children with motor disabilities at the Conductive Learning Center in the Fifth Third River Bank Run. Then later in the month 50 of them will be converging on Straight Ave. NW to help Habitat for Humanity build a house. There is a great need for affordable housing in this area, which has only been exacerbated by the foreclosure disaster and subsequent recession. Nearly 900 four-person families in Grand Rapids are doubling up with friends or family to survive; child poverty is increasing; and with wages stagnating and employers cutting hours, finding a decent place to live is more difficult for the average family than ever. This is why Habitat for Humanity’s mission, “serving God, building hope and transforming lives through neighborhood revitalization and homeownership for families who otherwise could not afford a home of their own” is so important. When, house by house and street by street, neighborhoods are stabilized, all of the city benefits. "Custer, always being a philanthropic company within the area, was energized by the idea of helping fellow Grand Rapidians in building a house for Habitat for Humanity. The turnout is enormous with over 50 employees volunteering for our five days of service. We look forward to making this a continued giving in years to come," says Brad Laackman, Director of Interior Architectural Products for Custer. Custer employees’ experience deals with transforming work spaces to make them more comfortable and productive, and they are familiar with construction and specialized building. Habitat for Humanity welcomes volunteers no matter their experience, of course, but when there is painting, trim carpentry and landscaping to do, it’s always wonderful to have volunteers who are familiar with those tasks.